Fun at the Fair OPEN Horse Show Dates for 2018 are August 7th and 8th. The photographer is Steed and Hound Photography www.steedandhound.com We look forward to seeing everyone! Our first ever GLAPHC Scholarship was presented to Tatem Forsberg from Piru, California. He is a graduate of Fillmore High School and has been active in High School Rodeos. He will be attending Cal Poly San Luis Obispo, majoring in Statistics and will be an active member of the Schools Rodeo Team. 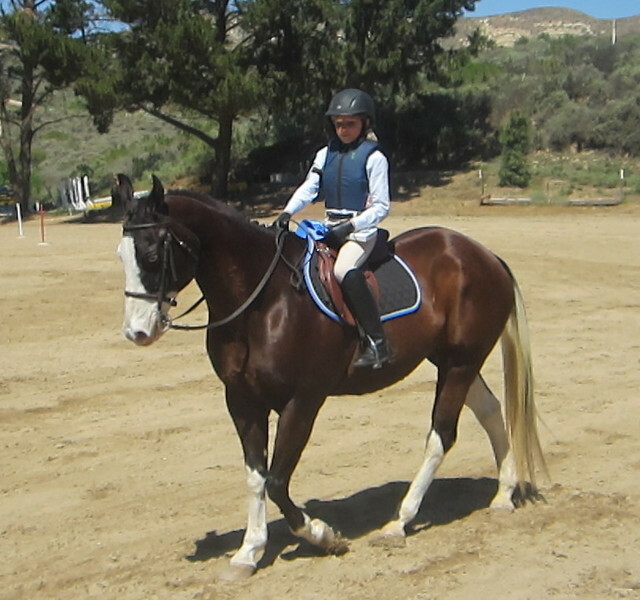 The Greater Los Angeles Paint Horse Club would like to support those students who have been active in the horse community and assist them in continuing their equestrian activities. We are looking for an cadidate that is active in the horse industry, has financial need, and expresses a desire to give back to the horse community. 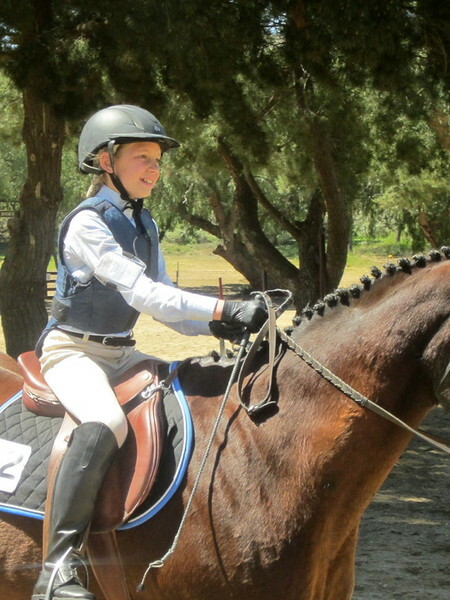 Candidates can be riders, grooms, working students, volunteers, involved in 4H, Pony Club, breed associations, clubs, and other horse related activites. Horse ownership is not required. Preference will be given to those candidates that own or ride an American Paint Horse, but candidates that own, lease, or care for any breeds and active in any disciplines are encouraged to apply. We hope to offer more than one scholarship next year in 2017. Again, Congratulations to Tatem Forsberg. Club members represented the American Paint Horse aSSOCIATION (APHA) at the Horse Expo in Pomona. The answered questions about the breed, colors and registraion and handed out lots of goodies. Sue and Richard Fleczok took their black and white APHA Stallion "See En Magic", and Taurie Banks took her bay overo APHA Stallion "Tribal King" to the Pinto World Championships in Tulsa, Oklahoma. Along with their groom, club member Bailey Brantley, they sported GLAPHC shirts around the show grounds and had several banners up on the stall doors and displays. Taurie Banks, of Fillmore, returned home from the 2013 Pinto Horse World Championships in Tulsa, Oklahoma, with two World Championship titles and three Reserve Championships. Riding the Black and White Stallion, See En Magic, Owned by Sue and Richard Fleczok of Simi Valley, she won the Open First Level Dressage. She received a World Championship Buckle, Ribbon and a World Championship Jacket. See En Magic Went on to make the Top Ten with a Sixth Place in Open Hunters Over Fences and Fifth Place in the Open Jumpers. 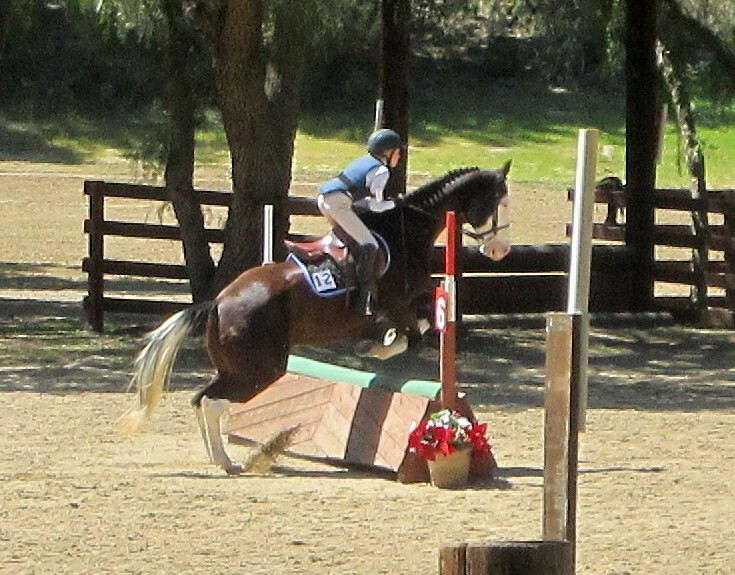 He also placed Fifth in the Open Hunter Hack. 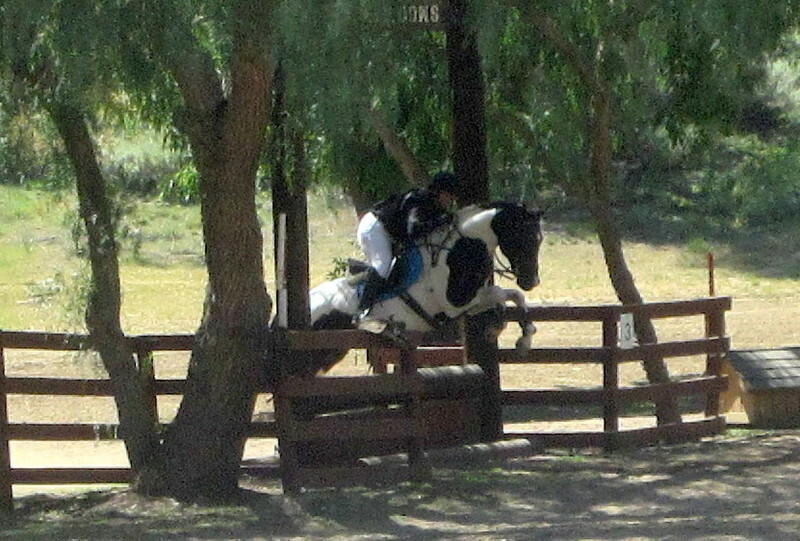 She went on to add, “In the jumping, he was so relaxed and easy to ride. I really was able to enjoy the whole World Show experience”. Taurie also rode her American Paint Horse Stallion, Tribal King, winning the OpenWestern Dressage Level 2 World Championship Title and Reserve Champion. Tribal King also won Reserve World Champion in the Open English Dressage Second Level the day before, and was Reserve World Champion in the Open Jumping, missing the World Championship title by just a few seconds. He also placed Fifth in the Open Working Hunters. Tribal King was also awarded Reserve Show Champion for the Open Hunter Type Horses for the entire two week show, even though he only competed for three days. Taurie would like to thank Richard and Sue Fleczok for the opportunity to ride See En Magic and support they have shown in making this show a possibility. She would also like to thank her amazing, hard working groom, Bailey Brantley, who made sure the horses needs were always taken care of. Taurie Banks is the Owner and Trainer at Kings Corner Training Stables in Fillmore. Paints Make a Splash of Color at Local Shows. 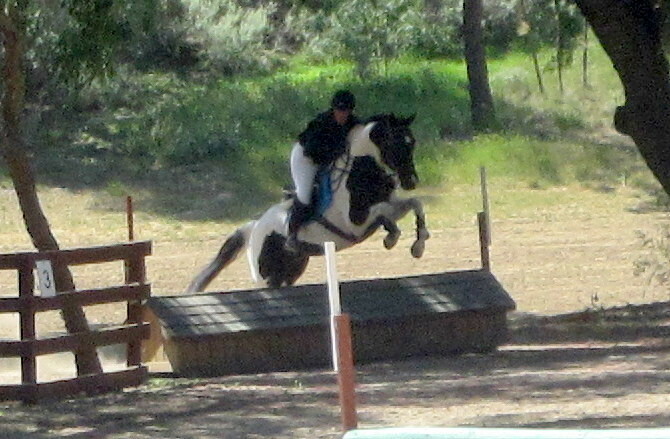 See En Magic, black and white tobiano stallion, owned by Sue Fleczok of Simi Valley and his sister Absolutely No Color have been out showing at some local jumping shows a Stradivarius Equestrian Center in Santa Paula. The beautiful setting, fun courses and relaxed atmosphere make for a really great show, and the prize money doesn't hurt either. See En Magic is showing his new strengths in the jumper ring at 3' and Absolutely No Color continues to shine with several riders. 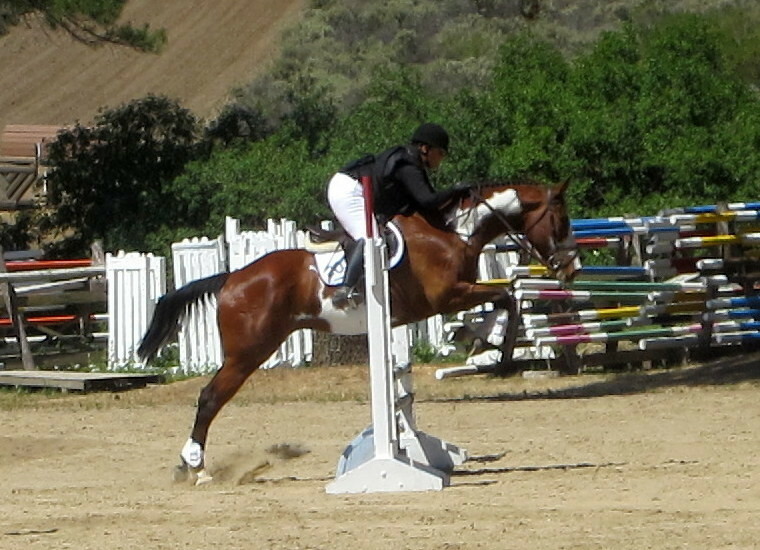 See En Magic and Your's for A Knight (aka Gambling Soda Pop), owned by Taurie Banks and ridden by Jillian Morris of Fillmore, also made heads turn at the Meadows of Moorpark Combined Test Derby. Tribal Colours a new Horse of Color program participan,t owned by Taurie Banks, made her APHA sire Tribal King very proud. "We have been getting lots of attention at the shows," Taurie stated. "Another trainer asked me if all I had at the barn were Paints, I told her yeah, even the solid ones! She replied that they were all really nice horses. She was impressed with how well they moved and how athletic they were!" The Greater LA Paint Club would like to encourage all of you to get yourself signed up for the Paint Promotion Program and the new Horses of Color Promotion. We have lots of awards you can win in many categories. So get out there and show your colors! Do you, or someone you know have a Paint horse that hasn't been registered, thepapers were lost, or the horse is a mixed breed? Well now the Greater LA Paint Club is offering to extend it's membership and awards programs to those owners. If your horse displays the coloration of an American Paint Horse, we want you! Join our club and participate in club activites, social events, and our new Horses of Color Awards Program. We give awards to those horse competing or participting in over 20 activites, including English, Western, Trail, Dressage, Mounted Patrol, Driving and much more. Check out the Awards information forms and get started now! Go to the Awards page for more information. Taurie Banks and her APHA Stallion, Tribal King, and Bailey Brantley, on Absolutely No Color, were the Year End Champions at the Meadows of Moorpark for 2012. 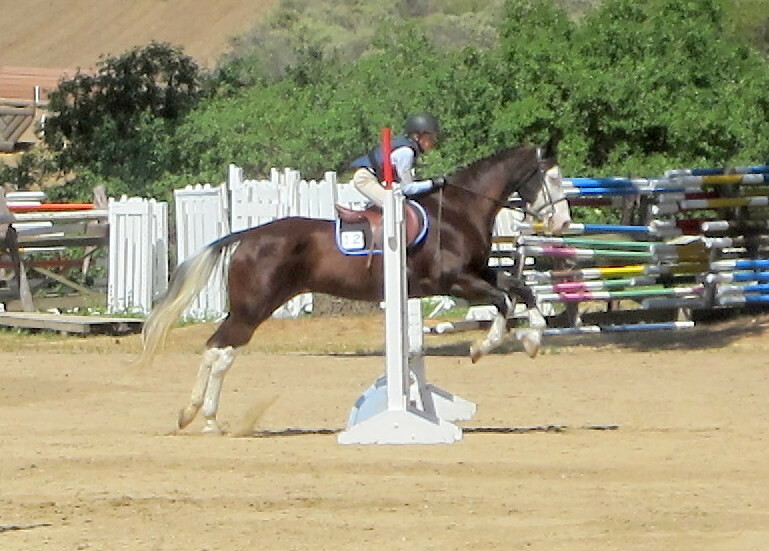 Bailey Brantley, 14 of Fillmore, riding the Breeding stock or solid paint bred mare, owned by Sue Fleczok of Simi Valley, were the 2012 Champions for Beginner Novice Division. They led the division since the begining of the season and actually moved up to the Novice level this summer. 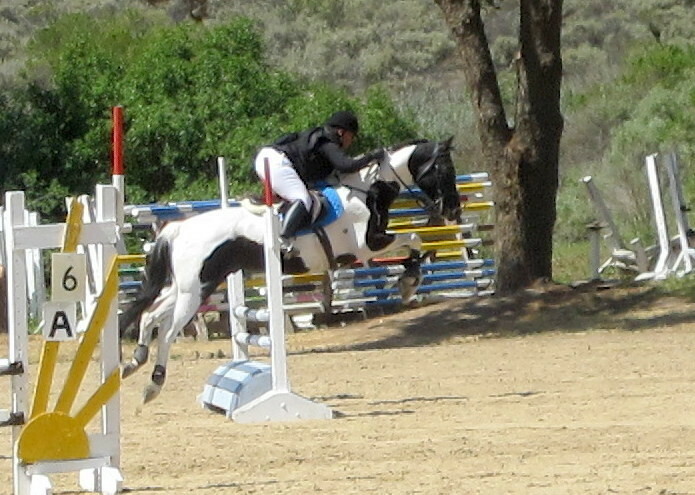 Bailey was also the highest placing Pony Club Member at the Novice Level at the Shepherd Ranch Horse Trials in Santa Ynez, this summer. 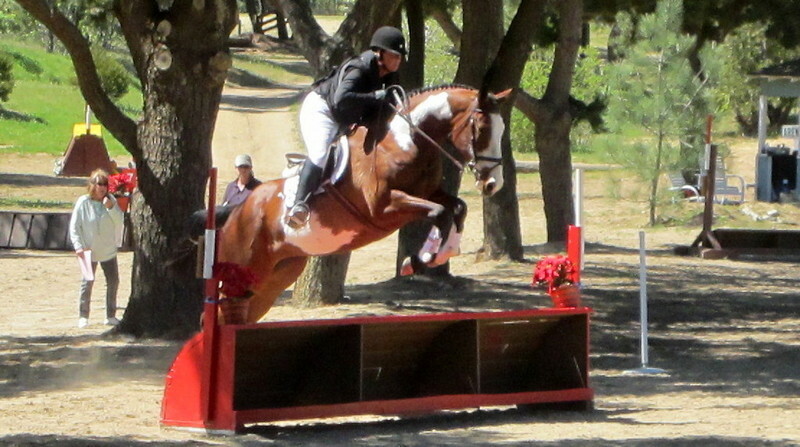 Taurie Banks and Tribal King, won the 2012 Champion for the Training Level Division, as well as the 2012 Champion for the Preliminary Division. They were also the 2012 overal Champion for the season. Both Bailey and Taurie were awarded embroidered saddle pads, trophies, gift certificates and a bouquet of flowers.